Carpet Cleaning Century City, CA – Don’t let dirt build up under the surface of your carpet. 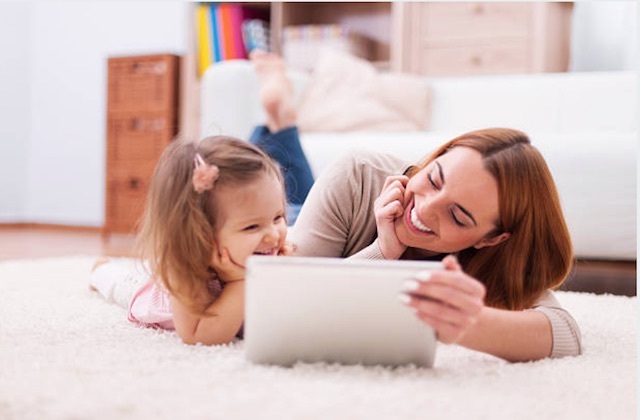 Schedule professional carpet cleaning Century City services to eliminate embedded bacteria and soils and preserve the quality and comfort of your carpet. Deeper dirt can do a lot of damage to a carpet pad and the resiliency of carpet fibers. If too much dirt accumulates under the surface it leads to permanent wear and discoloration on the surface. You cannot remove this type of dirt with a vacuum or basic cleaning methods. This is why you need to hire Century City carpet cleaners each year. Local companies in Century City, CA have the powerful equipment, industry experience and trained staff able to extract embedded dirt and restore the quality and color of the carpet in your home. You just need to hire the right carpet cleaner for the job! Amazing Care Chem-Dry uses one-fifth the amount of water steam cleaners use. This is because we don’t use soap for our clean results so we don’t need all the water necessary to rinse soap from carpet. Our process is healthier too! The service features no chemicals and removes over 98% of allergens from carpet. The furniture in your home retains pounds of dirt and bacteria under the surface of upholstery similar to what happens with dirty carpet. This means it is important to schedule upholstery cleaning each year as well. An upholstery cleaning appointment from Amazing Care Chem-Dry includes a similar cleaning process as the one we use for carpet. We vacuum the furniture to remove pet hair and dander as well dirt and other debris. Then we mist The Natural® cleaning solution onto the fabric and upholstery where it pulls the deep dirt in the furniture to the surface for extraction. Now we use handheld equipment for HCE to eliminate the allergens and soils on the furniture and restore the beautiful colors and patterns of the upholstery. You will love your furniture again after Amazing Care Chem-Dry upholstery cleaning is complete! Learn more about the service here. If you have tile or stone flooring, we clean that too! Amazing Care Chem-Dry offers a unique service for deep cleaning tile and grout unlike other companies in Century City. We inspect the construction of the floor to determine the type of tile or stone. This will influence the solutions and methods we use for our cleaning process. Then we perform dry soil removal for access to the grout and deeper dirt in the tile or stone. Our technician tapes off surrounding rooms so that the solutions and equipment we use for tile cleaning don’t interact with your carpet or hardwood floor nearby. The process is powerful and efficient and perfect for removing dirt and germs in your tile grout. After, we seal the floor to protect the new shine and block new bacteria from permeating the grout and tile. Call (562) 244-2975 to schedule an appointment from Amazing Care Chem-Dry or request a FREE assessment on our website.